The highlight of the unisex Folding Wayfarer RB 4105 601 is, as the name suggests, the way the frame can be folded up, saving lots of space. The rivets built into the frame ensure additional stability and flexibility, while the pronounced, striking temples provide a firm fit. 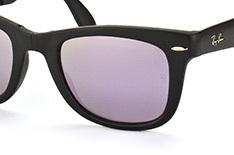 The trapezoid lenses, rounded at the top, offer excellent protection against UV-radiation. 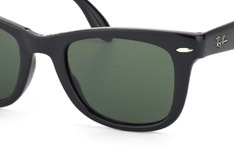 Looking for THE brand for glasses and sunglasses? Then you’re in the right place. 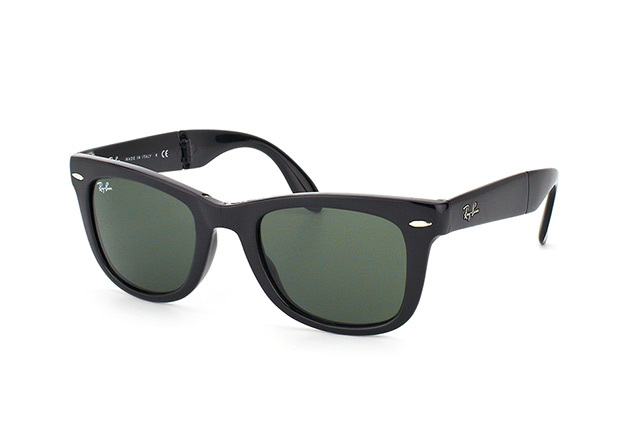 When it comes to eyewear, Ray-Ban is second to none. 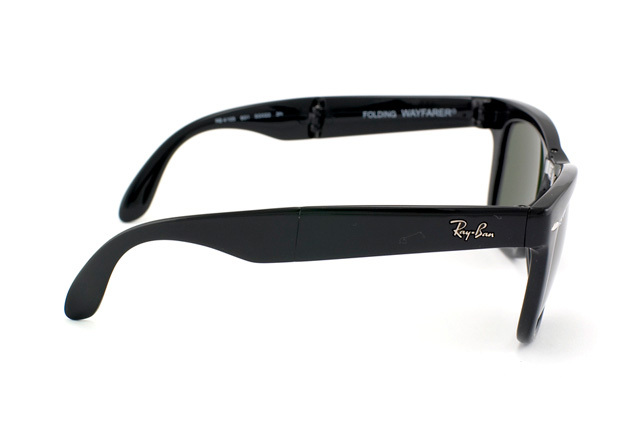 The Aviator, probably Ray-Ban’s most famous model, was originally designed for US Air Force pilots. 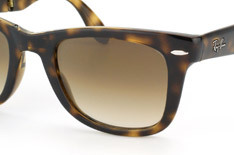 The Wayfarer and Clubmaster have also long since achieved cult status among eyewear fans. Both the label’s prescription glasses and sunglasses continue to be trendsetters, with the range constantly expanding in styles and colours. The mix of design, functionality and quality are key to the label’s success, with numerous celebrities counted among its fans. 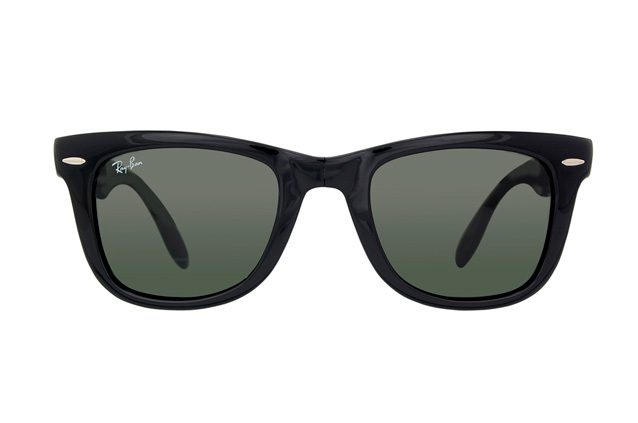 Choose Ray-Ban and show off your star potential!